Police apprehend Keon Demarco Gaston in Kittery, with the help of witness accounts and a tip. An alleged bank robber used taxicabs to elude South Portland police on Monday before he was captured trying to flee the state in a cab heading southbound on the Maine Turnpike. Detective Sgt. 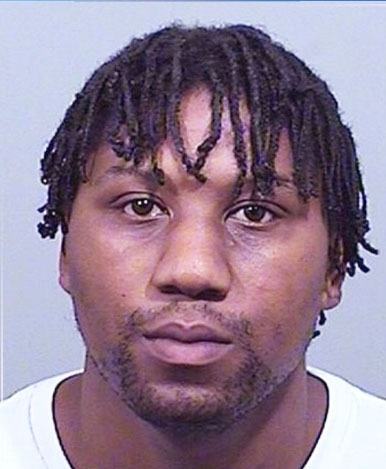 Christopher Todd said it took about two hours to find 28-year-old Keon Demarco Gaston, who was apprehended in Kittery after Maine State Police stopped a southbound taxi he hired at the Portland Transportation Center. Todd said it took some detective work and witness accounts to find Gaston after he made off with a large sum of cash. “Witnesses inside the bank, including tellers and patrons, were instrumental in giving a detailed and accurate description of the male suspect as well as the direction that he fled,” Todd said in a statement issued Monday. South Portland police pursued the robbery suspect, utilizing a K9 unit to track him from the credit union to Ardsley Avenue and Wythburn Road in the city’s Thornton Heights neighborhood, but Todd said the track went cold. Todd said a tip from a “concerned cab driver” led police to the Portland Transportation Center on Sewall Street in Portland where interviews with witnesses, as well as surveillance footage, indicated Gaston got dropped off and entered a second cab. Police obtained a description of the cab Gaston got into, including the name of the company, and were able to determine that it was heading south on Interstate 95 in the direction of Boston. Maine State Police intercepted the cab in the area of mile marker 5 in Kittery. “A male passenger was in the cab, who matched the description of the bank robber. It just so happens he was also in possession of a large sum of cash,” Todd said in the release. The cab driver was not involved in the robbery. South Portland police detectives responded and took Gaston into custody. 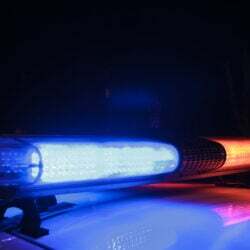 Gaston, an Oklahoma native who recently has been living in New Jersey, was charged with robbery, a Class B felony, and criminal threatening, a Class D misdemeanor. He was being held Monday evening at the Cumberland County Jail in Portland, where his bail has been set at $50,000 cash.